Gardaí had a gun pointed at them as they responded to the call-out at daybreak yesterday. A 21-YEAR-OLD MAN is due before court in Clonmel this morning over an armed raid at a service station at Greenane early yesterday morning. Gardaí had a gun pointed at them as they responded to the call-out at around 4.30am yesterday. The alarm was raised after a robbery was staged at the service station, and man was seen leaving the area on foot, carrying a handgun. He later brandished and pointed the weapon at officers as he approached the centre of the Co Tipperary town. 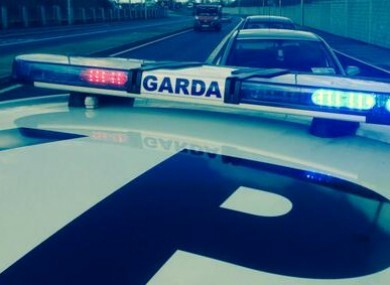 Armed gardaí then attended the scene, confronted the man and arrested him. No-one was injured in the course of the incident. Officers charged the arrested man at around 4.30am this morning, according to a statement from gardaí. He’s due before Clonmel District Court at 10.30am. Email “Man for court over handgun robbery at all-night petrol station ”. Feedback on “Man for court over handgun robbery at all-night petrol station ”.